Vickers are now part of the Eaton Group which include the other brands Char-Lynn, Sumitomo, Hydro-Line, and Aeroquip. Vickers, Hydraulic Pump, PVB10RSY41 designs, manufactures and globally markets a complete line of reliable, high-efficiency hydraulic components for markets including agriculture, construction, industrial, mining, fishing, marine and lawn and garden. 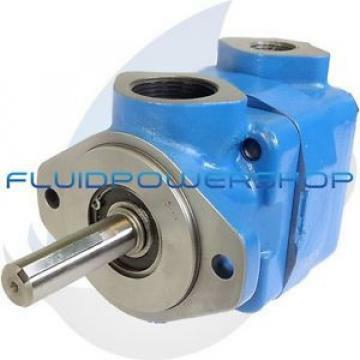 Vickers, Hydraulic Pump, PVB10RSY41 is a world-renowned hydraulic brand owned by the Eaton Group Fluid Power Division. Eaton is the world's leading manufacturer of diversified industrial products and enjoys a highly technologically advanced and reliable reputation in the global industry. Has more than 125,000 employees in more than 125 countries on 6 continents. With annual sales of Vickers, Hydraulic Pump, PVB10RSY41. Products related to automotive, truck, heavy equipment, civil aviation, defense and military, residential, telecommunications and data transmission, industrial equipment and public facilities, business and government agencies, as well as sports and entertainment in various fields.